The EU-focussed blogosphere is dominated by English language blogs. The search for multilingual EU blogging is cumbersome, even when pan-European political debates take place on issues of common interest. Some of the solutions to overcome these problems are (1) bilingual EU blogs, (2) EU bloggers writing different blogs in different languages, (3) ad hoc cross-blog translation as well as (4) multi- or translingual news and blog platforms covering European and EU issues. It’s not the most common phenomenon but blogs like the French-German vasistas (although a bit German-heavy lately) with a mix of articles in both languages, the English-French EU Weekly where Greg translates each article into both languages or the French-English Europasionaria with some translations and some posts that only exists in one language are one way to speak to different national or linguistic audiences at the same time. Another way is to speak to different audiences on different blogs. In some sense, this is like bilingual blogging but in the second case the audiences are not necessarily faced with the multilingual reality of a European sphere. One of the most prolific examples of EU bloggers writing different blogs in different languages is fellow Bloggingportal.eu editor Ralf Grahn. He manages to write one blog in English, one in Swedish (both currently suspended for technical reasons) and one in Finnish (currently trilingual). EU Commissioner Cecilia Malmström has continued her “private” Swedish blog that she already wrote as Swedish EU minister but also writes an official Commission blog in English. And Vihar used to write his EU Law blog in an English version and in Bulgarian. Cross-blog translations are great examples of the European blogosphere. Through such ad hoc translations, bloggers who know their own readership in their own language quite well help to bring complex content to their audiences when it fits. Kosmopolit’s already famous “Short guide to lazy EU journalism” got translated into 10 European languages. Falk recently asked me whether I could translate an English blog post of mine for his German blog. And last year Kaffee bei mir… made the huge effort herself to translate a long English post of mine into German. Neither Kosmopolit nor I would have thought of translating these posts on our own, but knowing that a post of yours suddenly becomes read by people who might not have read the original text is very refreshing. Multi- and translingual platforms, that is platforms existing in several parallel language versions or mixing these language versions, could in theory be one solution to the lack of common topics about which a European blogosphere could debate or the dominance of English that makes debates only accessible for those able and willing to speak this quasi lingua franca in European politics. They do have translations of news or blog posts in different languages (like Eurotopics or Cafe Babel). They not only have “imported” news content but also original blog content for each language (like Cafe Babel and the JEF blogs). Unfortunately, these are not translated. The comments under each translated version of the press article appear in all language versions (unique). Unfortunately, this does not include a button for machine translation for comments in languages I do not understand. Especially the last point, the multilingual commenting is fascinating. People who comment in German under the German version of a news article see also the Italian comments posted below the Italian version. For example, below the article “End of the road for European austerity” there are comments in eight languages, and someone even reacts in English to a French comment. A platform like Presseurop is a sign that in the digital sphere a European media landscape, including translingual discussions, is possible. It’s still one of the few existing examples, it is a more or less top-down profession enterprise and it still has some shortcomings, but it’s still a very good example of where we can go. If more of these platforms were to develop and if their readership would rise, they would not only be spaces for debate but could become points of reference (‘hubs’) for a multilingual European blogosphere, taking up European or national debates from one linguistic community, spark discussions right away on their own platform through multilingual commenting and provide the occasion for blogs written in all kinds of languages to refer to these discussions and continue them in their own linguistic or thematic environments. In the end, we will need a mix of all these efforts – bi- and multilingual blogging of individuals, ad hoc translation where discussion matter not just for one language community as well larger platforms that can attract a mixed multilingual audience and bring people together who might not have communicated with each other otherwise – to create a common European space. This is possible, and the examples above show that it is happening. This post is part of a series of blog posts in preparation of my talk at the re:publica 12 on 3 May 2012. Previous posts here (EN), here (EN), here (EN), here (German), here (EN), or here (EN). This entry was posted in Democracy & Citizenship, Media & Communications, The EU and tagged Bloggingportal.eu, European Public Sphere, multilingualism, Presseurope, re:publica 12. Bookmark the permalink. I agree completely on Presseurop. I forget who said “A good newspaper is a nation talking to itself,” but it comes the closest to being that for Europe. It has a manageable amount of content, typically of high quality, and one easily gets a “feel” for the discussion/state of mind across Europe. And, as you point out, there is the wonderful pooled, multilingual comments system. It is the only pan-European media, to my knowledge, which has been able to build up this kind of audience and interactivity. I hope it continues to grow and build up its reputation. Hi. I liked your post. An “All lenguages European supra-media” is an old dream of mine and of many people I think… It is very difficult to achieve, but we must keep on trying to deploy a succesful one. This text is old, but still related to the question of media and multilinguism. People who want to find out what’s going on in the world,essential even if they are only interested in local politics,need to be able to read English well.There is no problem with multi-lingual blogs that I can see,but obviously some blogs will be predominantly or exclusively English. I think the need to know English well in order to be informed enough to understand politics,whereever one be,can hardly be overstated.To rely on information from the hierarchy of filtering from the top down to understand what is going on is to be continually bamboozled. One also has to understand that through the internet,the ability on the part of the top of the political hierarchy to deceive those at the receiving end of all the propaganda and information stream is exponentially enhanced. To solely rely on communications and debate in languages other than English is to be limited by the world view or interpretation of others who may also not have the full picture,or who wish not to give the full picture,or more likely,who wish to twist or pervert the information they pass on for purposes to deceive. On the other hand,any language other than English allows one to exchange ideas and interpretations not common currency in English.So people who are multi-lingual have an advantage there. (I switch to Spanish): en el apartado de plataformas de difusión multilingues también podrían interesarte: (MyEurop FR, ES) http://myeurop.info; (Europa451, IT, ES, FR) http://www.europa451.es/index.html; and The Euros (IT, ES, DE, FR, EN) http://www.eurosduvillage.eu/. Hello, tech guy at Presseurop here. Thanks for this overview of Europe’s multilingual blogosphere, which we read with interest. We recently consulted our members on future innovations, and they agreed with you that machine translation of comments should be a priority. Your remarks on our blog are also interesting to us, as this has been an area of uncertainty in the project right from the start. In any case the European public space is still small and the future is surely bright! 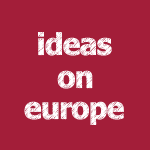 If you or your readers have further ideas for Presseurop, please do get involved and exchange them with us and our members. We have a particularly thoughtful and open community who often discuss “meta” issues alongside the journalism we publish. @Dídac: Muchas gracias, and thanks for raising the pressure for my presentation! 😉 I’ve got no idea how it will turn out, and written with the help of hyperlinks some arguments make much more sense than they do orally – but will try my best. Thanks for your reaction, it’s good to hear that you consider machine translation of comments. When it comes to the translation of blog posts, I think that since they are your main genuine content it would be worth giving more audience to them. Translation could be one way, but I also think that the blog posts are a little hidden compared to the rest (i.e. the news items). Maybe there is a way of bringing them closer together, but maybe you had your reasons from separating both “hard” news and blog content. On the Blog ppeu.net, which we want to use to facilitate the founding of a European Pirate Party we tried to work in different languages (unfortunately the wordpress plugin did not show comments from different languages under the same article, even though we would prefer that). What I, as an author, find the most lacking are volunteers for translations. If you use your blog for a hobby, and financially the pirate party movement is just that for the most part, it is incredibly hard to reliably involve more than a handfull of language communities. I agree that translations are quite cumbersome and that even to do a translation of a text I’ve written on my own sometimes takes ages to translate. But a movement like the Pirates or other European political parties will need to come up with solutions if you want to be both European and inclusive. English will in many cases be a bridge language and not every piece of text needs a translation into all languages, but I think in order to get your bases organise around issues that are most important for the movement (or that some people think everyone in the movement should know) you might need a group of volunteers who can deal with translations – because not everyone in the party/parties will be able to read and write English. @Rollo, what do you think…?! Presseurop is based on the open-source CMS-framework Drupal. A number of modules were built by us, including the one for integrating comments across a translation group of documents. Making this module available to the Drupal community is certainly a possibility, but there are difficulties. The module is somewhat integrated with other elements of our site, and this would need to be disentangled. And, not least, it is based on Drupal 6, for which the community is not accepting new modules. If and when we upgrade to the latest stable version of Drupal (probably 8), we will certainly consider releasing a public version of this translation module. It should also have some machine-translation functionality by then. It was presented today at re:publica! Multilingualism happens mainly through translation, although there is production of content also in French, Portuguese and Spanish. Rollo, could you drop me a line? At least one member of my team intends attending a workshop on multilingualism in Drupal 8 next month, and business cases such as yours could provide useful guidance to the community. Je tiens un blog de traduction d’articles sur l’actualité de la Politique du Netz allemande en Français : http://politiquedunetz.sploing.fr/ Toute aide pour me signaler des contenus intéressants ou m’aider à traduire est bienvenue ! Je tiens aussi à signaler @Rollo : Merci beaucoup pour PressEurop ! C’est très intéressant de lire des articles venant de toute l’Europe ! Concernant le contenu de l’article, il me semble qu’il devrait même être obligatoire de ne pas seulement enseigner les langues étrangères comme l’espagnol, l’allemand et l’anglais en France, mais aussi d’avoir des cours de déchiffrage des langues voisines à partir de la sienne. En tant que Français parlant anglais/allemand/français, je comprends aussi le plus souvent l’essentiel d’un texte quand celui-ci est en néerlandais, en espagnol, en portugais ou en italien. Et j’arrive à deviner le sujet du texte quand c’est du danois ou du suédois. Le translinguisme étant beaucoup plus facile à l’écrit qu’à l’oral, et aussi plus facile que le multilinguisme, il devrait être encouragé de manière générale.